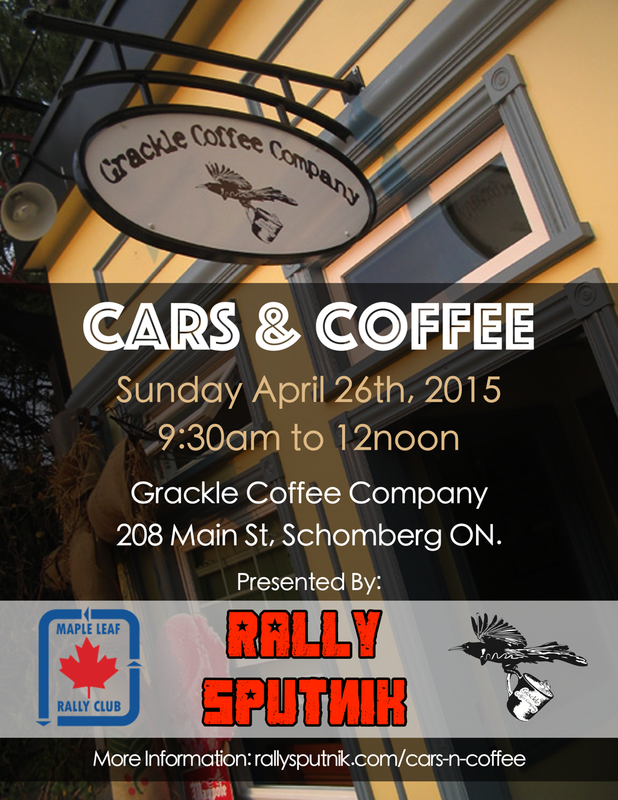 RallySputnik in conjunction with the Grackle Coffee Company and the Maple Leaf Rally Club are presenting a Cars & Coffee. Parking for your cars (or bikes) will be in the Raycor parking lot directly across from the Grackle. No charge for those who want to come but please support the Grackle across the street. If you have any question or are planning to come let us know by get ahold of us in one of the many ways.